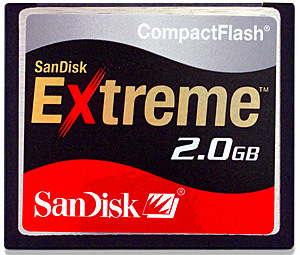 Special price of $389.00 on 2 Gb Sandisk Extreme CF cards...while supplies last. Well there is parity in the world: I am backordered on both the D2H and the Mark II...lenses are in from both arenas with the exception of Nikkor 17-55 and 200-400 ... still on allocation there. We have begun stocking the Media Street Niagara bulk ink system for Epson printers. Substantial saving can be achieved with great quality inks. I have a special price of $389.00 on 2 Gb Sandisk Extreme CF cards...while supplies last. I have a limited number of demo Pocket Wizard MultiMaxes at very special pricing. The Hitachi 2 and 3 Gb MicroDrives will continue on special. And these are not "your fathers' MicroDrives" they are durable and affordable. Call for the special pricing for Sports Shooter readers ...I can't publish it! I know I told everyone that I bought the end of the Slik ProBall head with D ring...well the importer found some more and I bellied up so we are back in stock. I have a very special Sports Shooter special on Monaco EX ColorOptix XR kit and there is a $75.00 rebate on top of it. Call me on this one also. I hope every going to the Olympics stays safe ...keep alert ... but still have fun.